Despite its troubled history and ultimately being put on life support as an open source project under a wholly-owned HP subsidiary called Gram, it seems WebOS will be getting yet another lease of life -- just not as a smartphone platform. Today, LG announced it’s buying all the related patents and source code from HP, and plans to use the once promising operating system for its line of smart televisions. Financial terms of the deal weren’t disclosed but it’s probably safe to estimate the final number was significantly lower than the $1.2 billion HP paid in July 2010. 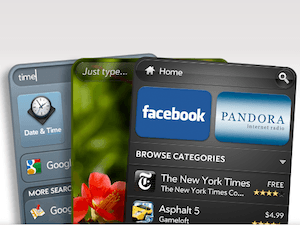 At the time, WebOS still showed great promise despite the initial hardware from Palm falling short of expectations. But in a span of just 18 months HP suffered a few management shake-ups, and ultimately went from betting big on mobile devices under Mark Hurd’s lead to essentially killing the division under Leo Apotheker and almost quitting the consumer PC market. LG says it has no plans of using WebOS to power a range of smartphones or tablets. Like many others in the business, the company remains committed to the Android ecosystem, but with Samsung cornering all the profits and market share it can’t hurt to have an independent mobile platform as backup. The remaining engineers from the WebOS team will move to LG’s labs in California. It’s unclear when we will see the company show off their plans for the platform on smart TVs or what will happen with Open webOS.